BulanLifestyle busy at work on a lotus Street art at Sunalini yoga on Hutton Lane, Penang. The artist Tiffany Choong of BulanLifestyle.com busy at work on a lotus Mural at Sunalini yoga on Hutton Lane. The lotus symbolises the cycle of life, death and rebirth. Check out this yoga studio on TripAdvisor. It’s got great reviews. If you are visiting Penang, do check it this new Penang street art and try a Iyengar yoga session with Sunalini. Next Post Restaurant Review : indigo at The Blue Mansion, Penang, Malaysia. Penang street art in the making. 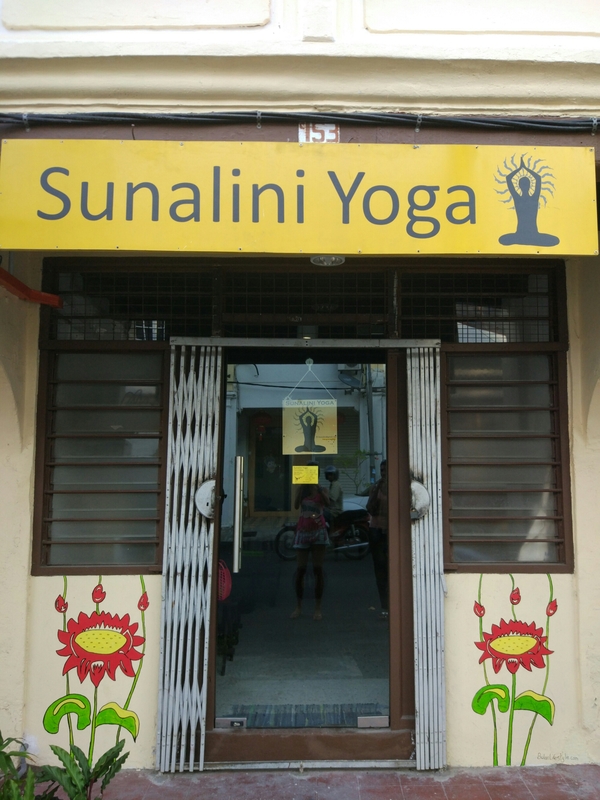 Sunalini yoga studio, Hutton lane, Penang.